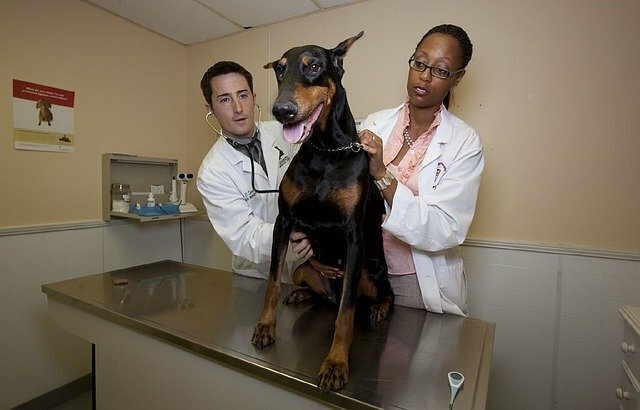 Finding the right Veterinarians for your family pets. A partnership between you, the pet owner, and your veterinarian is essential to the health and well-being of your pet. Your vet is your personal resource for all your pet related needs from Rabies vaccinations to pet food and dietary recommendations for health problems. It is much like choosing your family physician, the doctor for your furry family member should be a good match for both you and your pet. As with other professionals, recommendations from friends or others you trust usually are best. Ask around and see what you can find out. Remember, don’t go by location or convenience alone. When moving to a new area or looking for a new veterinarian, schedule a new patient appointment. Bring your pet’s vaccination record and any other health records you may have. How did you feel about your visit and the doctor? Did he / she make you feel comfortable? Answer your questions? Did he / she listen to what you had to say? Were you rushed or did the vet take the time necessary to answer all of your questions to your satisfaction? How was he/she with you pet? Did your pet appear to like him/her or get comfortable with him / her? Check out the doctor’s professional associations and affiliations with human societies. Is the doctor affiliated with an emergency clinic? What are his / her emergency procedures? Also, ask to see the animal care area and kennels. Are they clean, dry, comfortable and odor-free? Notice how the staff interacts with the animals. Check if the clinic has multiple doctors, ask to see the same person each time so you and your pet can establish a relationship with that doctor. Trust your instincts. If you or your pet are not comfortable with a veterinarian, look elsewhere. Both you are your pet will be happier in the long run. One of the primary services provided by your veterinarian is annual vaccinations for your pet. Pet vaccinations are usually started between six to nine weeks of age. Puppies require a series of core vaccines. Guidelines for Rabies vaccination vary from state to state, some requiring the vaccine every year and others only every three years after the first two shots. Vaccinations for cats follow a similar protocol, although the vaccines administered are different. Your vet may recommend additional vaccines, such as Bordetella. Furthermore, don’t hesitate to ask about the pros and cons of each before they are administered to your pet. Your pet may not be fully protected for up to fourteen days after shots and may suffer some mild side effects afterward.